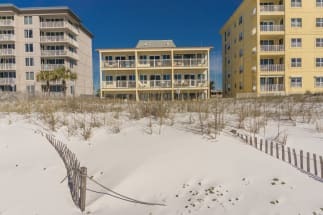 Welcome to the Fountainhead vacation rentals in Fort Walton Beach! Snuggled between Destin and Pensacola this complex has access to endless family fun activities. Enjoy a relaxing morning on the white sandy beaches and fun filled afternoon on the fishing pier. The complex also supplies a community pool and tennis courts. This area is very close to the intercostal waterway and is a great place to rent kayaks or paddle boards. After a long day of fun in the sun, head to one of the local favorite restaurants such as Stewby’s Seafood Shanty, Floyd’s Shrimp House or Angler’s Beachside Grill. Fountainhead truly is the perfect place to enjoy an affordable family vacation. ECBYO wants to help you plan your next trip to Fountainhead. Please contact one of our owners and they will gladly help you book your stay. We hope you enjoy your vacation on the Emerald Coast!